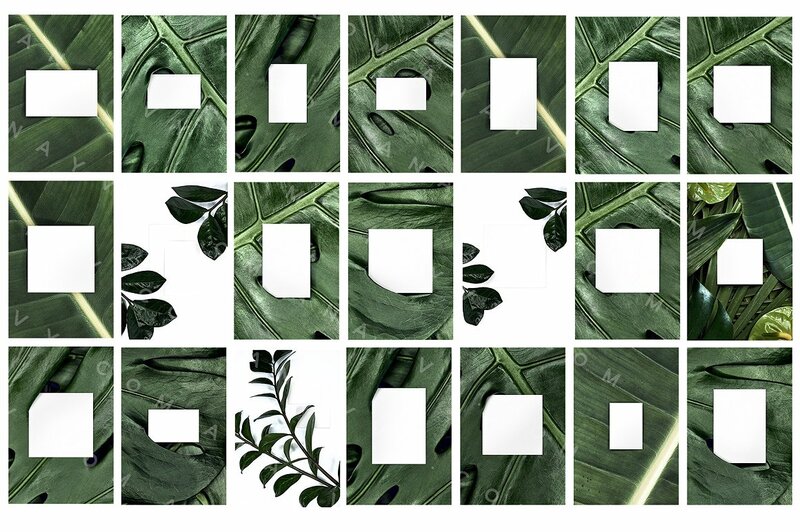 The Minimal Green Stock & Mock presentation set is here! 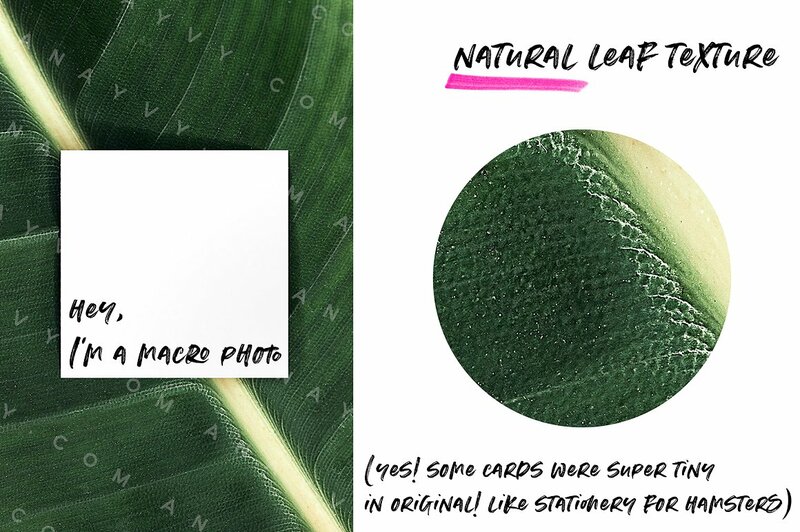 Beautiful greenery, amazing monstera, fan and banana palm leaves and tropical hawaiian Flamingo Lily flowers combined with corporate items like business cards and DIN sized paper mockups for your next presentation! 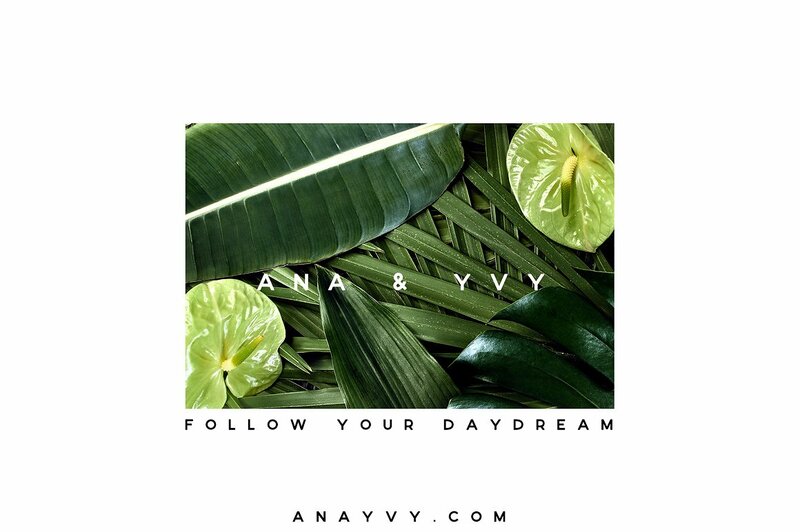 We crawled through the rainforest to find the best and most beautiful exotic palm leaves for you! 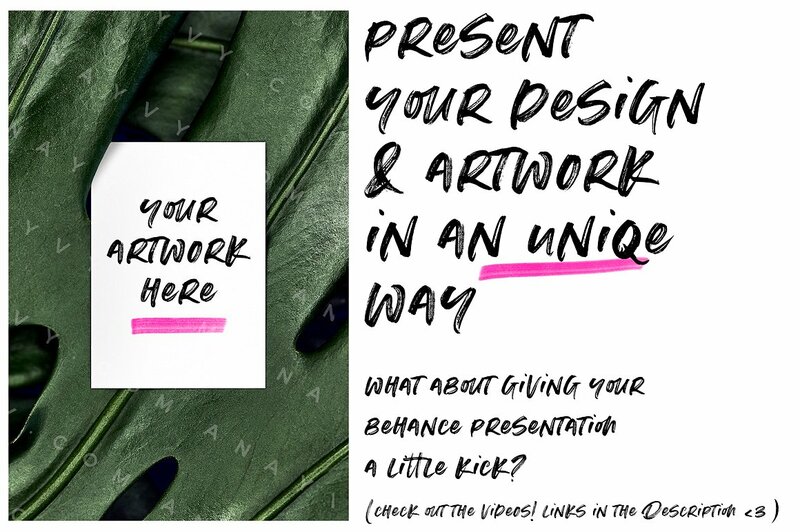 Now you can present and promote your design, artwork or templates with these stylish and minimalistic ready-to-use mockup scenes. 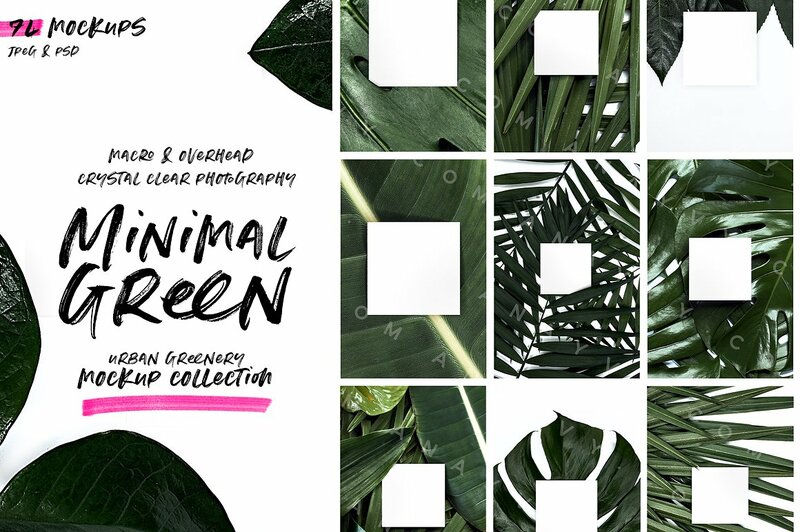 This collection is perfect for urban jungle themed designs and layouts! It also covers the modern aloha wedding trend. 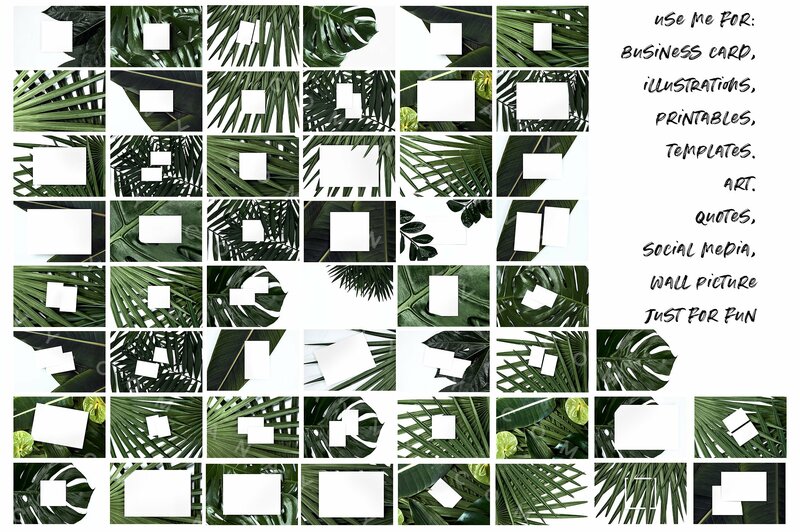 Or maybe use it as a print on your frame wall to match your urban jungle greenery ambient in your studio? The high resolution gives you the possibility to print on a huge scale. 74 psd mockup scenes. A handpicked mix out of macro and full size views. The files are 300 dpi and 16bit to give you the highest possible quality. The mockups cover DIN sizes, business card sizes and square proportions. The files are easy to handle, the layers are well organised and ready to use. Only a one click and you can drag and drop or create your very own design into the scene. 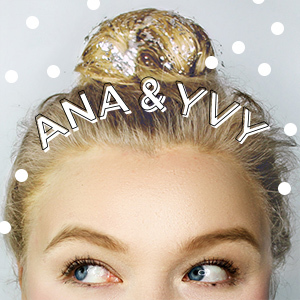 Check out the quick & dirty tutorial video in the previews to see how easy it is!